Harold Holland and Lillian Barnes are getting marry (again) in two weeks. Their first marriage was 50 years ago. It's a love story that's been picked up all over the world. Here is a marriage counselor's take on this tale, and my own thoughts about getting remarried to your ex. They met in the tiniest of towns, Salt Licks, Kentucky (population: under 500) in what was likely its only restaurant, according to the Lexington Herald Reader. 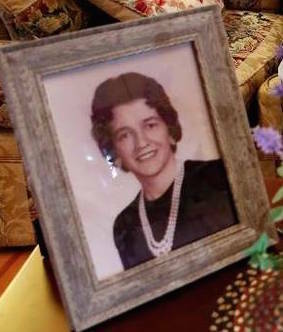 She was a dark-haired beauty in Menifee County High School, a forested county of about 4500 residents. A poor area with currently 30% living below the poverty line, and families struggling to get by on less than $27k a year. He lived in Bath County, a county of about 10,000 in the 1950's. Today that county is a bit more prosperous, but still 16% of the families there live below the poverty line. It wasn't a religious wedding that Christmas Eve in 1955. The article mentions that both began attending Baptist churches after their divorce 12 years later. Nevertheless, with all the hope and inspiration two teenagers can bring to the promise of tomorrow, they took their vows to love, honor and cherish. She was 16. He was 21. Both of them in love and ready to face life's challenges on that cold Kentucky day in 1955. This is a hypothetical "Story of Us" that I will draw for you about a couple who divorced, but may not have had to. Throughout those first 8 and a half years together, every 18 months or less, another baby arrived. First a girl, Miriam. Then two boys Timothy and Larry. Another girl, Laura and then finally the last baby, Mark. With every addition to the Holland home came greater financial pressures. More wet diapers, and larger meals to prepare. The strain showed on his high school sweetheart's face. She may have had 3 children before she even turned 20. She was lonely. He was never home. Every baby brought her more responsibilities, sleepless nights, toddlers and endless housework and dishes. Harold had a dream of one day owning his own carpeting business, but it was a vision of the future they didn't share. In 1964, the couple split. Had Miriam just started first grade? Lillian probably had toddlers at home. There was no vicious fighting, but maybe Lillian was just tired of not being told she was beautiful. Or maybe she wanted him home, while Harold "had to work." Maybe Harold was upset that she couldn't see how important it was for him to learn the carpeting business, so that he could one day own his own store. And they could be successful financially. Maybe they let the simmering disagreements go unspoken, and created coldness and distance. And finally, instead of looking forward to his coming home late into the evening, she simply asked him to sleep on the couch. Then move out. Lillian was 25, and Harold almost 30. Harold was a good man. Even at 29, he knew what was right. When he finally left the marital home in 1964, he moved into a one-room apartment on North Lime. "I would not neglect my kids." he remembers. For a family already strapped for cash, this modest place was still a luxury. But it was quiet. It was a respite from crying babies, and the sad beautiful face of an attractive young wife he didn't know how to please. But Lillian got no peace after Harold left. Her life continued, unabated, with domestic responsibilities, gaining only an empty couch, and a bed where her husband used to be. The separation lasted for three long years. I imagine that Harold no longer felt constantly guilty for disappointing Lillian. He could work day and night. His sent checks to keep the household afloat. These would be his weekly apologies. Exhaustion was the couples constant mutual companion. How could it not? She spent her days in endless housework and diapers. And spent long nights alone. His was spending nights and weekends learning the business of carpets. He was growing his dream. Harold was ambitious. He knew that having his own business would be his ticket to financial success. Two years into the separation, his dream came true: He started Holland Contract Carpet, a wholesale distributorship in 1966. But it was cold comfort because Lillian was not by his side. Still, working in his business was a better alternative than returning home to his quiet room on North Lime. And unlike the excitement and thrill of starting his own enterprise, at home, he knew he remained a constant disappointment to his young bride. One year later, in 1967, they finalized the divorce. She was 28, he was 32. By then, he was, in all likelihood, working 16-18 hour days to grow his business and pay the mounting bills for food, baby clothes, and maybe even getting his family a larger apartment. There's no mention of the road to divorce. In stories like this, their seldom is. It's a happy tale of two young lovers re-uniting after half a century. The divorce came three years after the separation. But for over 8.5 years, the couple shared a passionate life. Divorce is a simple fact, unchanging, and unalterable. No teaching tale here in today's news story. Yet those eight years, between 1955 and 1967 is a lifetime of history, misery, disappointments, broken dreams, and private aspirations in the lives of two people. "It was all my fault" Harold claims. Lillian was blameless. He worked too much. Beautiful Lillian married Ted, a few years later, and had two more children. Ted died of a massive heart attack in 1986. She then married Arval, who recently died in 2015. Harold remarried Maudie, a widow with three children in 1975. Maudie suffered from lupus and died of liver disease in 2015. Age, illness, and disease. Until death do us part. Yet both wonder today whether a simmering love for their childhood sweethearts never totally left them. “I don’t think we ever lost that love, to tell you the truth,” Harold admits. They met again while attending a family reunion. By December, 2017, the two sweethearts were talking marriage. On April 14th, their grandson Joshua Holland, a minister from New Orleans, will perform the ceremony at Trinity Baptist Church. Lillian will wear a long lavender and white dress. He’s now 83. She’s 78. And after 52 years, his other "wife," the dream that separated them so many years ago, Holland's Contract Carpets is estimated to generate $1.8 million in annual revenues, and employs approximately 7 people in Lexington, KY. It's former President, Harold, now has his sons running it. “We decided we want to walk the last mile together,” Holland said. “We’ll go do whatever we want to, whenever we want to do it. I’ll take her wherever she wants to go.” “We have a lot in common,” Lillian adds. 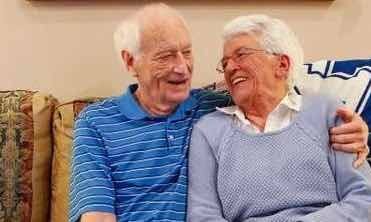 We love stories like Harold and Lillian, but if we stop to reflect, we find that it was life pressures and perhaps a poor understanding of the nature of marriage and intimate relationships that broke this happy union in 1967. Michelle Weiner Davis claims that as many as 10% of divorced spouses remarry each other. We might argue that the real story here is not that Lillian and Harold are one of the 6% who married, divorce and remarried again, but that they ever divorced in the first place. Child marriage is steadily declining across the country, according to Centers for Disease Control and Prevention data but Kentucky still has one of the highest rates of child marriage in the nation. We know that going into marriage as teens leveled two strikes against them. Do Lillian and Harold Have What it Takes to Stay Married this Second Time Around? The research I did was mixed. 72% of one study found those who reunited stayed together, particularly if their separations occurred at a young age. They did divorce young, so "check" they have this going for them. Marni Feuerman couples therapist in Boca Raton, Florida encourages you to "Admit to your role and responsibility in what went wrong in your first marriage to one another. If you can't readily do this, you will continue to struggle in this or any marriage." Harold takes the blame. Check for Harold. Emotionally-focused couples therapist Jennifer Sue Taylor of Blaine Washington tells us of remarried to your old beau: "Don't assume that by remarrying, the problem behaviors you had in the first marriage will magically disappear. They will not. Hopefully this time around you will learn enough about perpetual problems in order to keep a positive perspective..."
But one thing is clear: You may be marrying the same physical being, but time changes them. It will no longer be the same marriage it was the first time around. And that can be the good news OR the bad news. People grow. People mature. And if you were "oil and water" back then, chances are you are likely to still be oil and water now. "And that's not the problem" argues Missoula Montana's Jim Ramsey. "You're partner should be your "better half" and if you can't see this, and always keep this in mind, you'll continue to experience problems. It's your perspective and inherent sense of gratitude for this magnificent human being you have the privilege of living with and loving. Not the innate perfection of anyone." "Go to a professional to learn new skills of open communication. Learn about the Four Horsemen. Develop the capacity, if you haven't already, to self-reflect and state your perspective without shaming or blaming" argues Master Gottman Therapist and Trainer Scott Wolfe. Dr. Marni disagrees with the hopeful perspective of others on remarrying your spouse. Dr. Marni quotes a Psychology Today article that states that "... a whopping 60% of remarriages fail." She provides 15 tips in her re-write on remarrying someone you divorced for an article in The Spruce. Who's right about the success rate of those who remarry their ex-? We just don't know. However, we do know that couples who stay married, despite their marital troubles, are happier 5 years later, according to one research study. They stubbornly outlast their problems. ​Let them be a teaching tale to all of us.